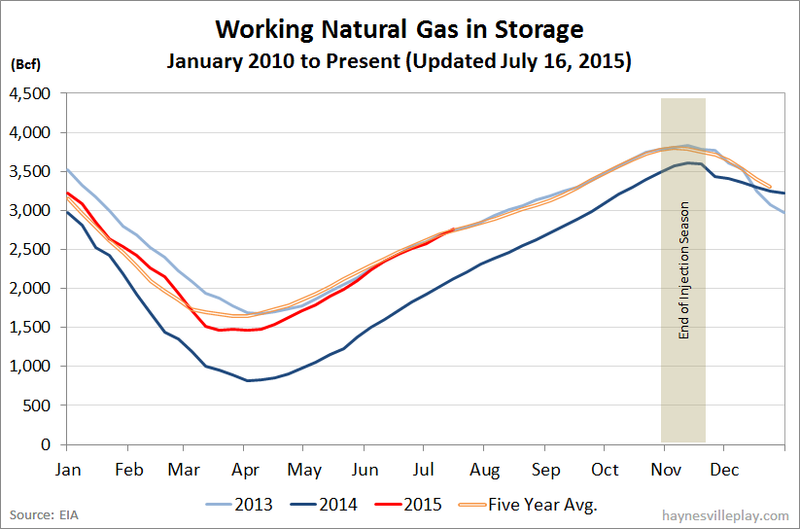 The EIA announced another fat natural gas storage injection, as working gas in storage was up 99 Bcf to 2.767 Tcf. The weekly injection was 6% below last year (+105 Bcf) but 39% higher than the five year average (+73 Bcf). The current storage level is now 30.9% above last year (2.114 Tcf, a difference of 653 Bcf) and 2.7% above the five year average (2.694 Tcf, a difference of 73 Bcf). Last week, temperatures in the Lower 48 averaged 74 degrees, which was 1 degree cooler than both last year and the average reading for this week.